Though smoke and powder are nontoxic, it may cause irritation to the skin (eyes, nose and throat, etc.). If this is the case, wash and rinse with cold water immediately and consult the doctor if the symptom persists. When the air bags deploy, the air bag related parts in the steering wheel and/or instrument panel and/or in both sides of the roof rails above the front and rear doors are very hot. 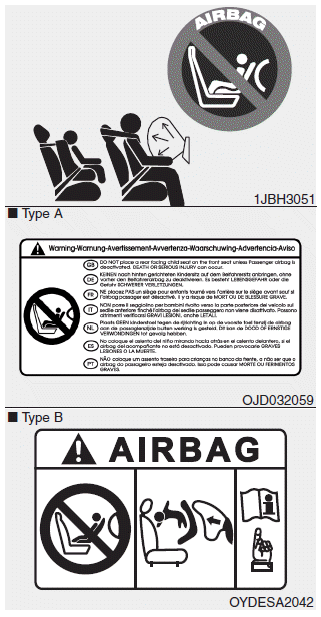 To prevent injury, do not touch the air bag storage areas internal components immediately after an air bag has inflated. Do not install or place any accessories near air bag deployment areas, such as the instrument panel, windows, pillars, and roof rails.